It’s an awesome time to be a tire geek and an expensive time to be a tire hoarder. We’re grateful for all the great options available, with a plethora of treads, sizes and casing options for any kind of riding. Choices are good. While we’re certainly excited to see new tires pop up each month, especially higher-volume options and tubeless casings, it’s also fun to see vintage treads reincarnated through new tires. What’s old is new, some say, but that’s not a bad thing. 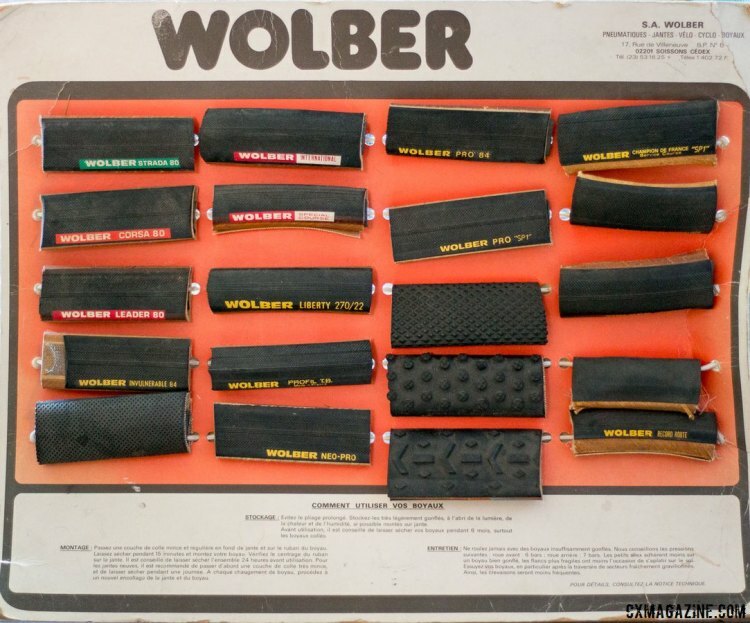 For Throwback Thursday, we’re taking a look back at what is a really old name in cyclocross tires and rims: Wolber. 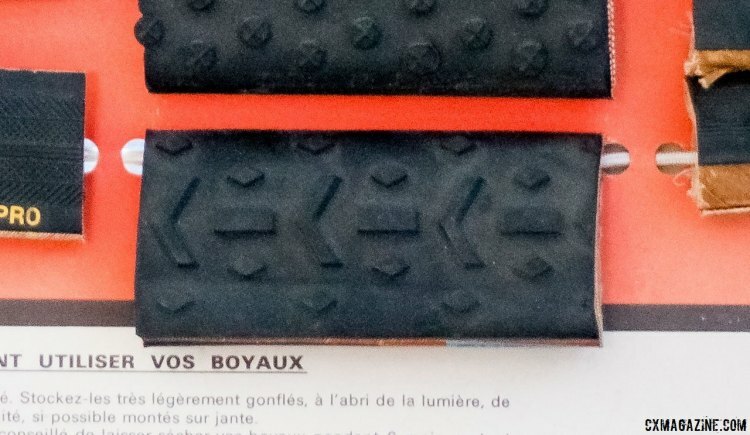 Somehow we’ve ended up with this vintage tire display from the French brand in our hands, and it offers a fascinating look at just some of the tubular options in the 80s from one brand. 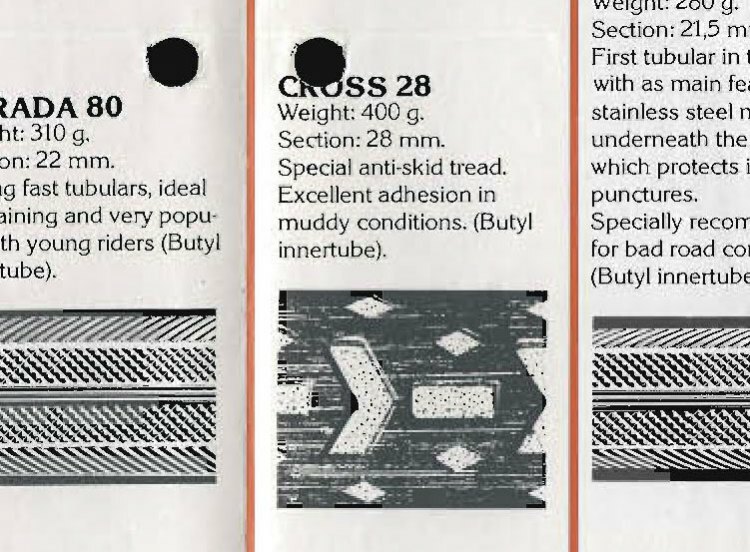 Paired with an old Wolber catalog, thanks to equusbicycle.com, we take a look at some of the tires many cyclocross legends first competed on. France’s Wolber Pneumatiques Velo-Cyclo Boyaux was founded in 1898. 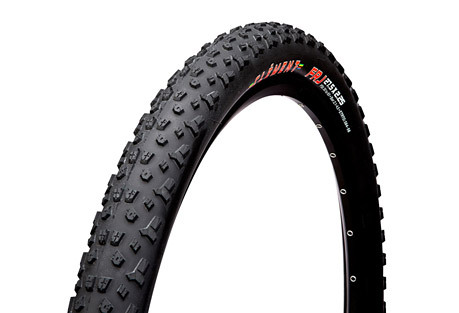 The company produced bicycle tires, tubes and rims, and in the early 80s was a dominant manufacturer of tubulars, producing one and half million tubulars a year. The company built its tires in France and was quite a force, employing 900 employees, and was a publicly traded company. 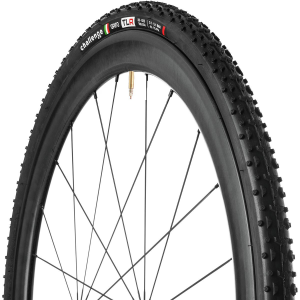 Its rims, especially the lightweight tubular options like the 305g Performance model, 330g Record du Monde and 345g Arc en Ciel were popular, coveted models among racers, and in the late 80s, Wolber clincher models were standard equipment on Pennsylvania-made Cannondale bikes. 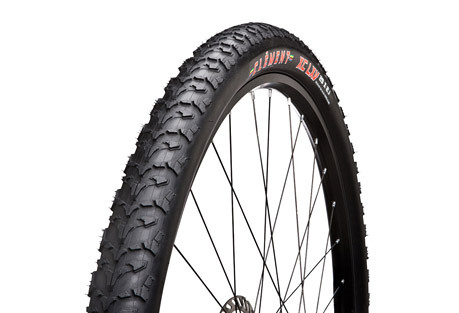 The company didn’t just make racing tires and rims, but also BMX and moped tires. It was also the first to develop a tubeless tubular tire that eliminating stitching and inner tubes, and allowed for external puncture repairs with Wolber’s own repair kit. Wolber offered three cyclocross tubular options in the early 80s, with treads that still look familiar today, even if the widths look road-like by today’s standards. 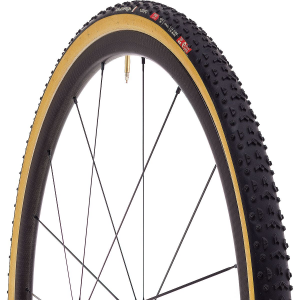 The Cross 28, with center chevrons and small side knobs, was the company’s biggest cyclocross tire. At the time, 28mm was big enough that it had to be called out in the name. The chevron-based tread was described as having “excellent adhesion in muddy conditions.” The Cross 28 shares many design features with today’s “mixed” conditions tires like the Challenge Grifo, Dugast Typhoon, Vittoria XG/Terreno Mix. 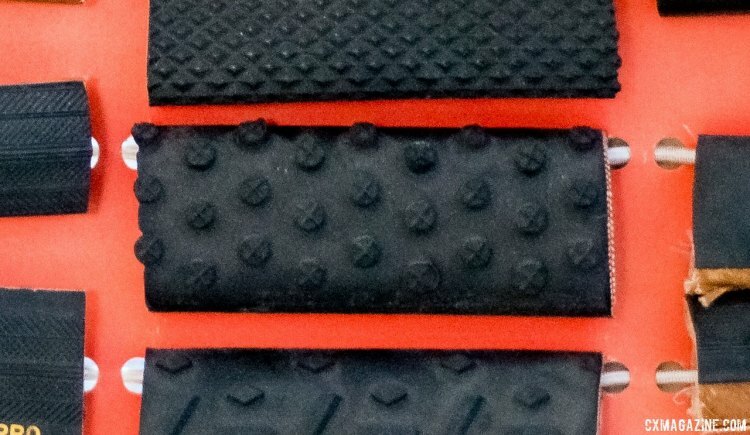 The chevrons were described as an “anti-skid tread,” suggesting that racers run the arrows pointing forward when viewed from above, allowing the knobs to bite/scoop under braking. The Wolber Cross 28 was considered big back in the day. The Chevron-like tread was the company’s best mud option. The knobs look minimal by today’s standards, barely over 1mm tall, making the handling skills in all those vintage videos all the more impressive. As the name suggests, the tire was 28mm wide, which was big compared to other models. Know any adult racing on 28s today? How things have changed. 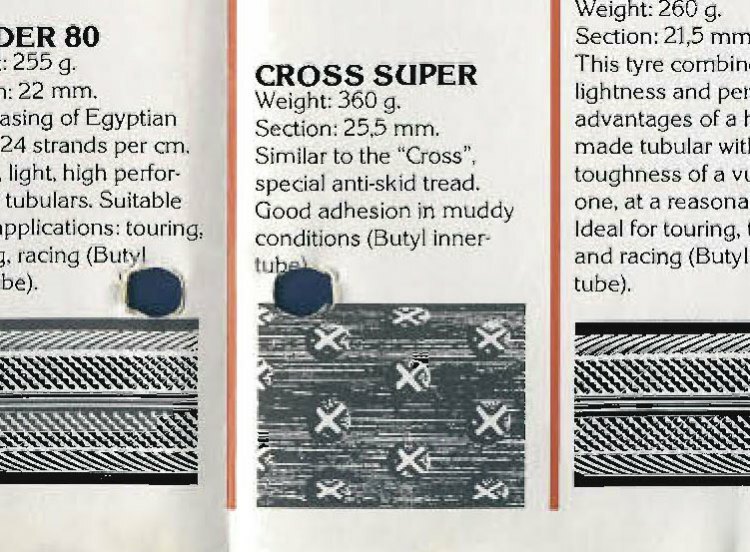 The Cross Super was a super-simple tread that did a lot well and lives on today in tires like the Schwalbe X-One Bite. You don’t have to look far to see modern-day versions of the Wolber Cross Super. The Schwalbe X-One Bite (reviewed here), is similar, albeit bigger in volume and knob height. The 27mm green Vittoria Tigre and Clement Elite Cross added a bit more volume and varied the dot size but followed the same simplistic design—no Vector Force Analysis needed. 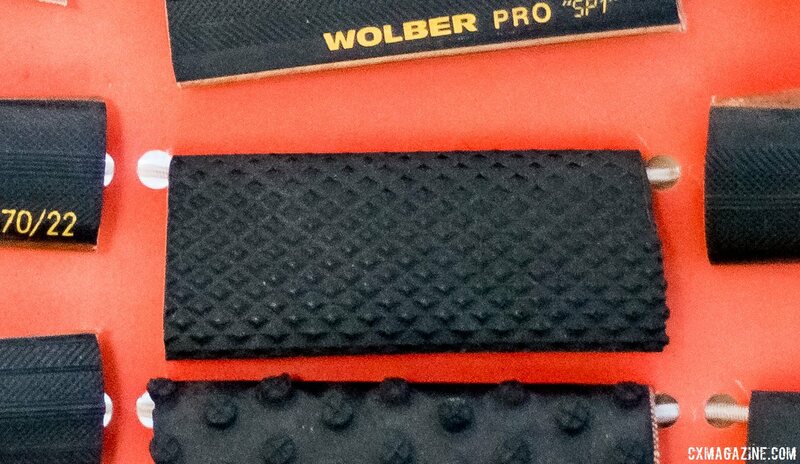 The Wolber Cross file tread tubular. 355g, 26mm wide. While file treads haven’t changed all that much over the decades with the exception of added side knobs, the Wobler Cross file tread featured pretty sizable diamond-shape knobs. 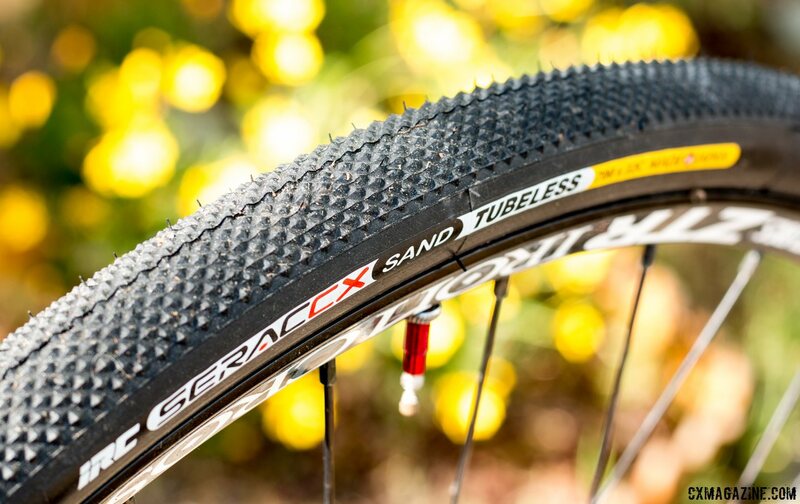 While the center tread is similar to a Clement LAS, the IRC Serac CX Sand, one of our favorite fast-rolling gravel/pavé tires, is probably the closest modern version this classic tread. At just 26mm, the tire wouldn’t even make the cut for Paris Roubaix today, but could be an ideal choice for anyone brave enough to attempt the mixed terrain L’Eroica on vintage tubulars. What happened to Wolber? In various forms, Wolber lives on today. 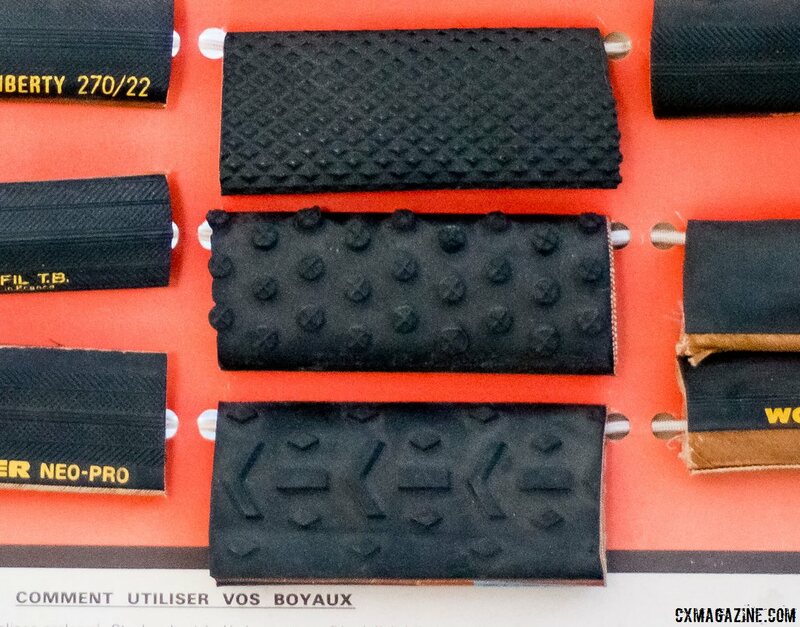 While tires in general have gotten wider, and the popularity of tubulars has taken a skid towards tubeless tires especially for offroad use, this look back at tires from more than 30 years ago reveals treads haven’t evolved all that much. 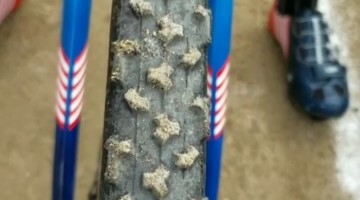 Head to any cyclocross race today and you’ll still see similar treads. As for the name and the products, the Wolber legacy carries on, albeit under different names. Mavic bought out the rim division, while Michelin snapped up the tire division. 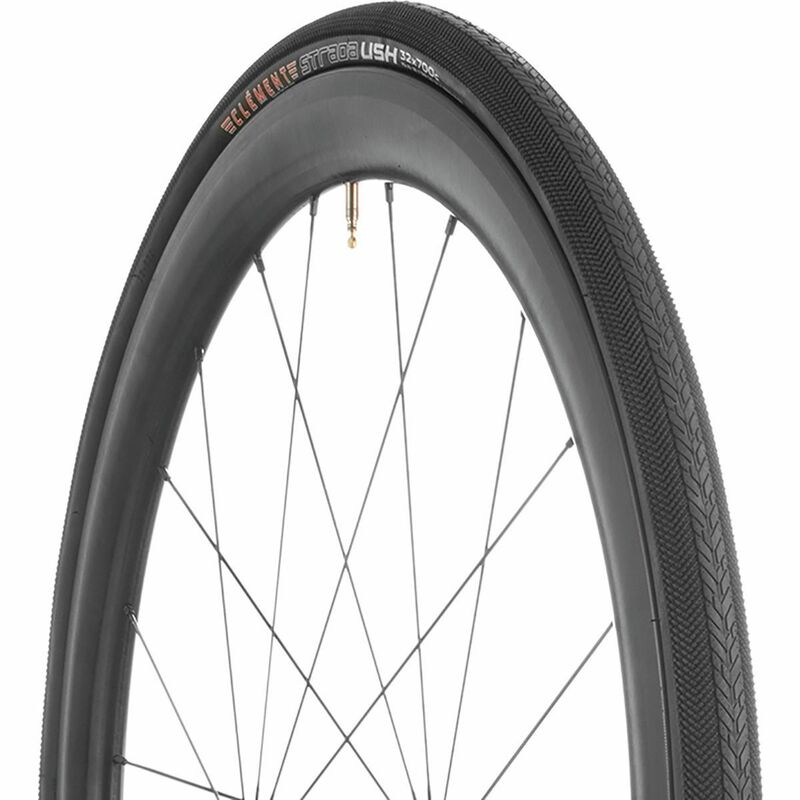 Even though the Wolber name is out of circulation, Mavic keeps rolling out new products, including a wider, tubeless version of the Open Pro rim. 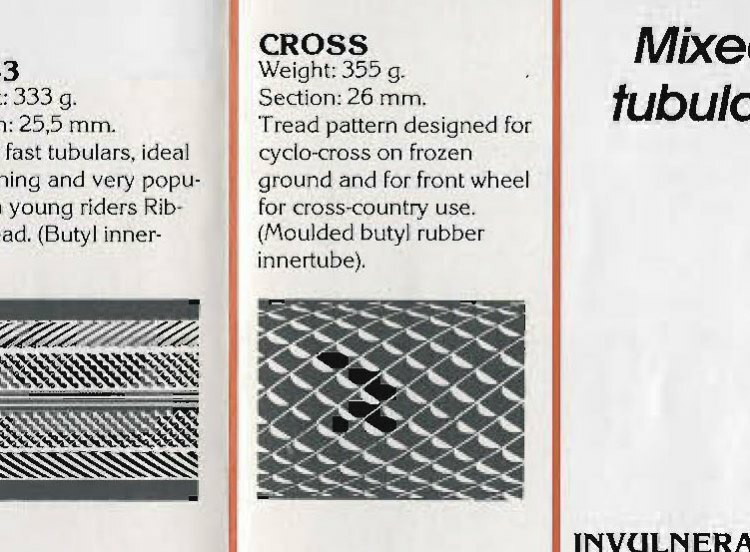 On the tire side, although Michelin is not a major player in the tubular market, it never fully killed off its cyclocross options. The new French owner kept up the minimal height knobs and low-volume tradition of Wolber with the HiLite Cross clincher, and then famously became a dominant player again with the now-coveted green Michelin Mud and Sprint tires. 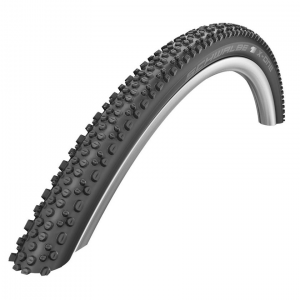 The Michelin cyclocross tires and treads would go on to win countless cyclocross titles. 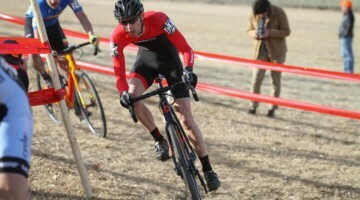 The influence and reign of Wolber in the cyclocross world is not over. 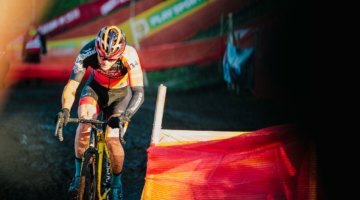 2017 Cyclocross World Champion Wout van Aert gave the brand an unexpected chapter in Bieles. 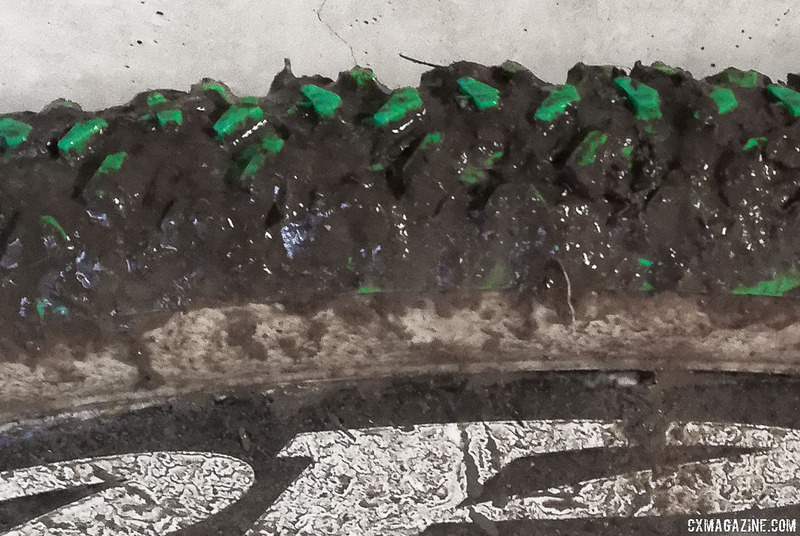 Now we await to see if Michelin might extend the story by finally refreshing its drop-bar dirt options with tubeless and high-volume options. 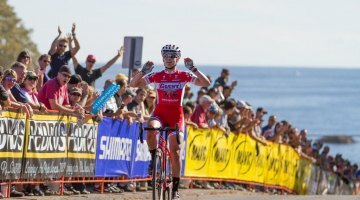 Previous post Wednesday Wonderings: What's Changed on the UCI Cyclocross Calendar? I love this article. 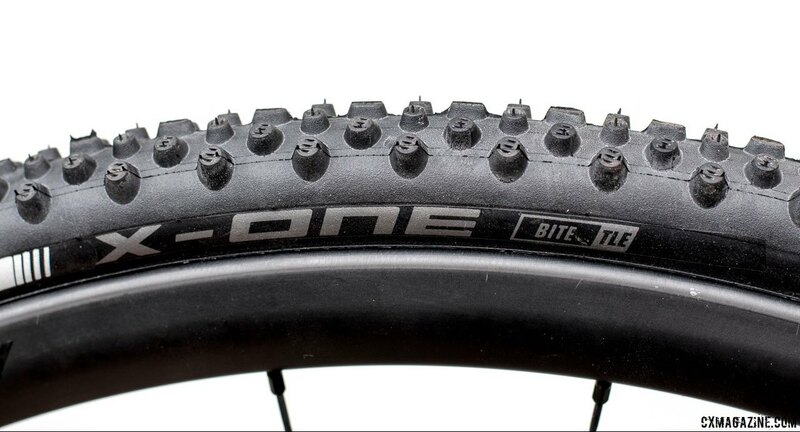 It’s fascinating to think about racing CX conditions on tires 28mm and under. Awesome, glad you like it. It’s fun for us to not only focus on the latest/greatest and definitely worthwhile if readers like you enjoy it. About time Michelin got tubeless come on guys! Used all 3 back in the day. The Griffo type tread was the best though for certain conditions a small block Vittoria on the front and a dimple tread Wolber on the back was awesome. 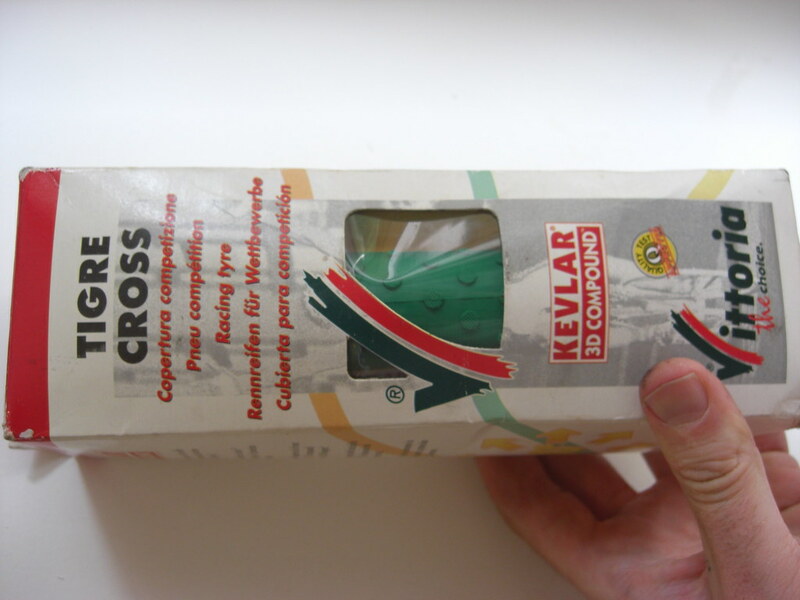 In 1989, I used Wolber Invulnerables during a Bombay – Delhi stage race (no flats, but I changed tubs ever day). They had a stainless steel mesh under the tread. A bit slow, but safe on atrocious no-roads!